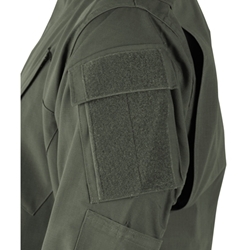 The PROPPER TAC.U Coat is inspired by the Army Combat Uniform design, but enhanced specifically for the needs of law enforcement personnel. 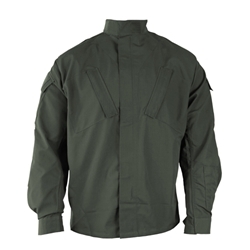 Our Battle Rip® fabric provides excellent comfort, color integrity, wrinkle resistance and long-lasting durability in a range of solid colors. Mandarin collar can be worn up or down and slanted chest pockets provide ample storage for accessories. Bi-swing back and underarm gussets enhance range of motion. 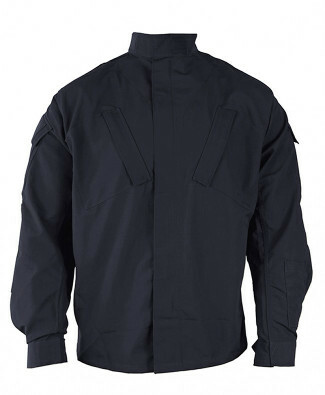 Sleeves feature external elbow pad openings plus an enlarged three-channel pen pocket on left arm.